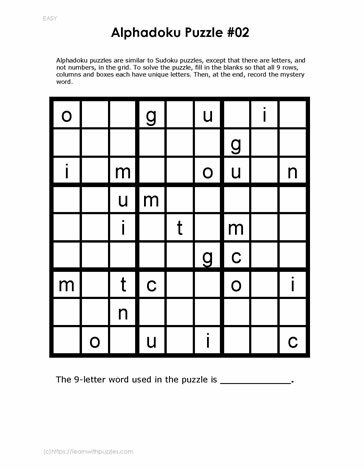 Have you tried alphadoku puzzles using a unique 9-letter word as the clue? Here is a brain teaser that uses 9 different letters to create the logic puzzle. To solve, use problem solving strategies and deductive and inductive reasoning skills to fill in the 9x9 grid.